Ever since I was a little girl, I have had an interest in the "green" lifestyle. From my free spirit personality and love for the outdoors to my green thumb mother. However, I've never claimed to have the same green thumb she does. I've actually said for years that if it's edible, I can grow it. Otherwise I leave the "other" plants and growing to my mother. It doesn't have to be difficult though for those starting out or even those who feel struggle with certain aspects like I do. 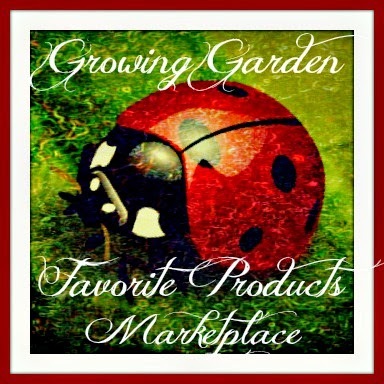 The following brands and products have TRULY helped me grow bigger, stronger, and more fruitful gardens in the past few years. Had you asked me a couple years ago what kind of seeds I used or where I got my plants I would have honestly had no clue. Now I laugh at the girl I was back then because I now know you can waste money, all your time, and efforts buying and planting a poor quality seed. Not only is there a huge different between the types of seeds people use, your end result depends on what you start with. Last year, I discovered Seeds Now. Since then, I've discovered the real, raw difference. 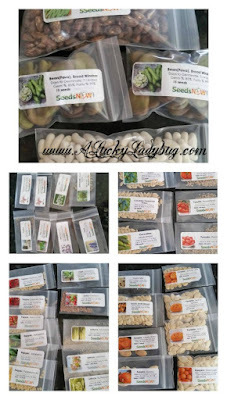 Seeds Now seeds are "Pure NON-Genetically Modified seeds, 100% NON-Hybridized seeds, 100% Heirloom/Open-Pollinated seeds, and 100% Raw and Un-treated seeds". More than just an online place to purchase seed varieties, Seeds Now is a resource for seed starting and saving, growing organically, and finding a way to be more self sufficient. 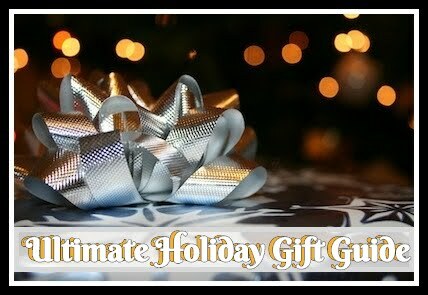 You can find seeds, gifts, starting and saving tools. Because in Michigan we don't get much of a summer, I usually start my seeds early in the year (around February) so they are ready to be transferred outside early spring. Referencing one of the many Grow Guides that Seeds Now can help you when it comes to your climate and zone. I start using an old farmers secret by soaking my seeds for a day before actually planting. You can soak at night and plant in the morning which I've found works best. Within days of planting these seeds, I always start to see sprouts and signs of growth. Out of the hundreds to thousands of Seeds Now seeds that I've planted in the last year I can think of maybe 5 times that a seed didn't sprout and turned out to be a dud (and that's probably an extreme). I cannot begin to tell you the difference you can notice when looking at Seeds Now seeds in comparison to any other generic store bought seeds. Plus, the best part in my opinion (as if everything above wasn't enough), the seeds from Seeds Now are just as inexpensive! Start with a 99 cent seed pack if you aren't sure or go big with a bulk pack still with prices less than any other retailer! Ever since we lived in our previous home which had a small yard, I've done most of my gardening in containers. Now living with acres in my yard, I still find myself gravitating to container and raised bed gardening because of the control it gives me with outside elements. Container gardening isn't for everyone BUT it works quite well for most people. Regardless of space, time, or money, there are tons of benefits to container and raised bed gardening. The key is finding the right kind of bed or container that works for you. Personally, I've searched high and low for the ultimate in garden bed which would help me in a variety of ways. A successful garden needs to have the optimal environment in order to create a successful and thriving space. This "environment" should include a way to keep weeds and pests out or at a minimal amount; Perfect placement - sunlight, shade, and elevation for water flow; And sometimes even flexibility when it comes to moving locations or covering with protection. Last year, I also discovered Big Bag Beds which I had no idea at the time would be a lifesaver where I live. 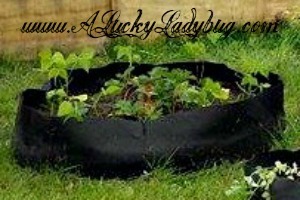 Big Bag Bed's are "Fabric Containers For Those Places You 'Can't' Dig" and so much more. The Big Bag Bed is a reusable fabric garden bed that can be placed virtually anywhere. 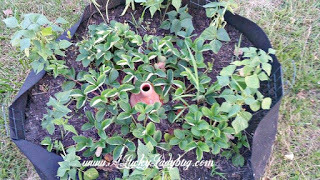 Want to plant under a tree where roots prevent you from digging? How about a roof top garden? Most places you can think of the Big Bag Bed can work! Big Bag Beds prevent circle root with constant aeration which helps your plants continue to thrive in their environment. They grow stronger and bigger than in a closed, hard sided container. Using the Big Bag Beds last season, I didn't have to worry about common weeds sprouting up through the bottom (ground) and the weeds that happened to pollinate themselves in the bed, were much easier to remove! Being that I live in a rural area, the lifesaver was in the material which is tough enough that pests couldn't dig or chew through the sides and bottom. While I covered the Mini Big Bag Bed for the winter, I left the larger Jr and Original Big Bag Bed uncovered. After a long winter, I was able to able to head out there last weekend and very easily till the soil to get ready for this years planting. It was nothing like previous years working for days getting the garden beds ready for planting. I spent at most an hour with my three beds which are now ready for new plants when I'm ready! I love how beautiful these looked throughout my garden last year and the compliments I received all Summer long! I'm looking forward to an even more successful year with Big Bag Beds. With most beds made from untreated wood which rots or other weak and flimsy materials, they just can't compete with Big Bag Beds. 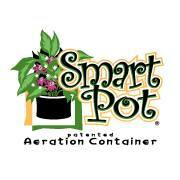 If you are an avid gardener or just looking to improve your landscape with some colorful flowers, I would highly recommend checking out Smart Pots and Big Bag Beds. Quite a long time ago, my father purchased a self watering drip system for my mom and all her hanging baskets of flowers. It was something she needed because of the hours it was taking her to water them daily on her own. 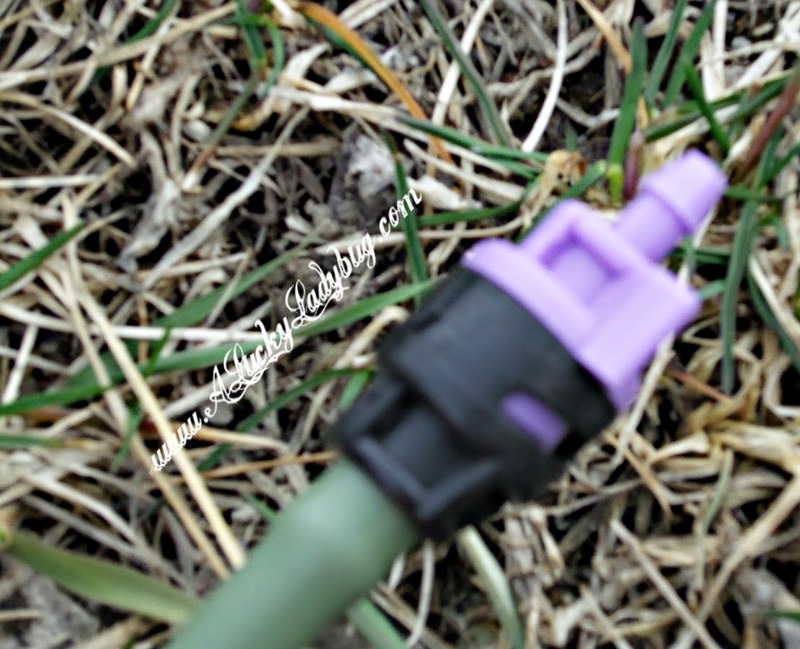 It was then, that I first became interested in automated watering systems for gardening and other landscaping needs. Through research, I discovered the brand Mister Landscaper. I, like many others, tend to keep myself very busy throughout the Summer. While an avid gardener, there are other aspects of my life that require my attention and focus just as much (kids!). Because every plant is different and requires different kinds of attention, it can be hard to keep track of the specific care for each type of plant. It never fails, I forget to water certain plants or over water others and everything goes down hill from there. They each slowly begin to die or just don't end up the same for the rest of the season. 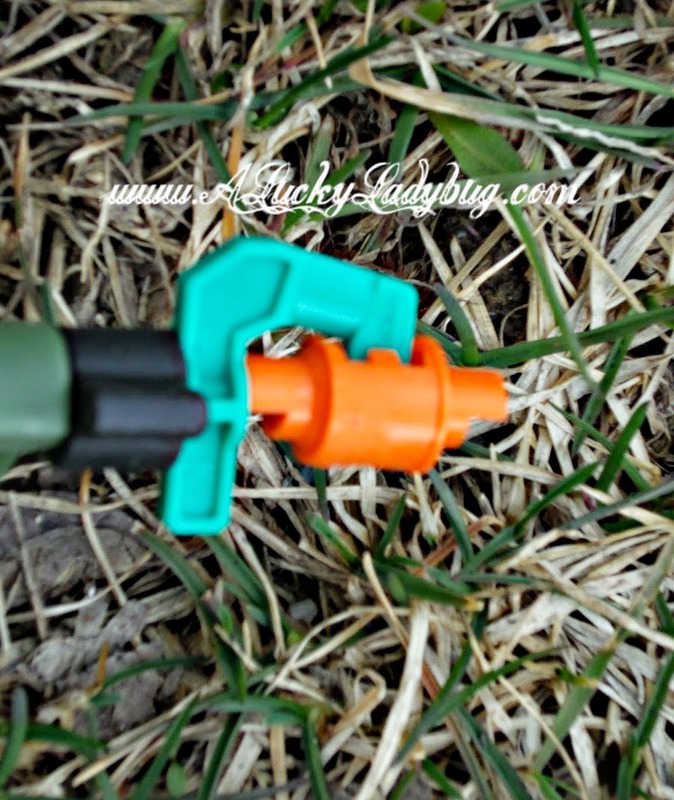 But since using the Mister Landscaper products, the last couple years have been different. Mister Landscaper is "motivated by the desire to give homeowners the ability to water their landscapes and gardens just like professional growers irrigate their nurseries and groves." 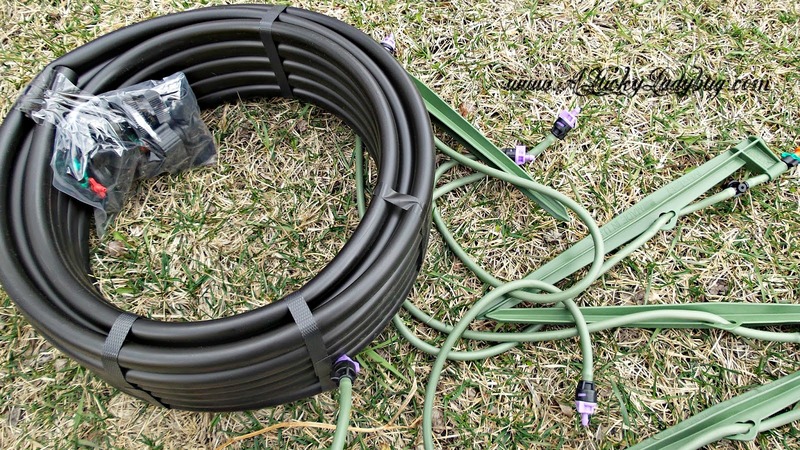 Made in the U.S., Mister Landscaper provides a variety of drip irrigation kits and supplies. With features like the ability to adjust the spray pattern of each stake assembly, there are endless possibilities. These kits have both lessened the stress I have in caring for my plants several times a day but also helped specify exactly how each individual plant is watered! Because of their wide variety for all types of needs, they have kits geared towards landscaping, potted plants and vegetable gardens. There is even a kit for the bird lover's ultimate bird bath! I highly suggest scooping up a kit or two, or three, or more, for your every landscaping and gardening need. You will be thrilled with the results and how well your garden thrives with this kind of attention. A while back this awesome gadget caught my eye and I knew just had to have one. "The Click and Grow is designed to bring life into urban homes and spread the joy of growing something on your own, even if you have never been blessed with a green thumb." When all of the above fail OR when you want a little less complication in the whole process of gardening, the Click and Grow is perfect! The Smart Herb Garden starter kit includes everything you need - 3 Basil cartridges and the unit with sensors, light, and a special water reservoir. The plant cartridges each have seeds, nutrients and smart soil. 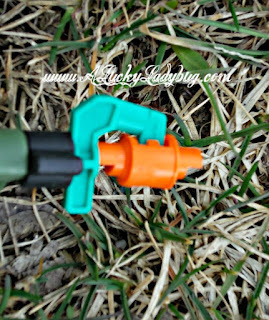 If you are interested in growing something other than basil, Click and Grow refill cartridges are available. You can grow other herbs like mint, thyme, and lemon balm; Grow fruits and vege's like tomatoes, strawberries, or peppers; Or if you prefer a plant, grow the moving mimosa, cockscomb or painted nettle! For growers of all levels, this gadget is beyond easy to use and helps grow a variety of plants (even more than listed above). This awesome gadget monitors your plant and dispenses an exact amount of water, nutrients and oxygen. This way if you are inexperienced with plant life, you don't have to worry about over watering or knowing how much fertilizer to add. 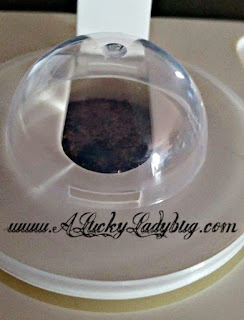 One of my favorite things about the Click and Grow units is that I don't have to worry about dirt! The Click and Grow uses a Smart Soil and what's especially awesome is this smart soil and technology uses "no GMOs, pesticides, fungicides, insecticides, plant hormones, or any other suspicious substances". So for the tree huggin hippies like me, you can rest easy that your plants are safe! If you don't have a green thumb but would love even the smallest garden or plant, this will help you each step of the way! I would love to have this. I would grow the straberries, the catnip, and the pizza mix. This system seems idiot proof. I want to win the Click and Grow because it is such a neat product to have. I want to raise my own Strawberries I know they would taste better than the store ones. I would love the original big bag bed. I love a garden, but being disabled makes it hard for me to plant one. This would make it possible, which would be fantastic. I've been doing container gardening for years and will never go back to anything else. It's easier, keeps weeds out and looks better. Last year, I also tried Seeds Now and loved the larger, tastier lettuce plants! Click and Grow unit would allow me to start seedlings sooner . I also like that plants can be grown all year. I love this thing. I like the click n grow to have fresh herbs available year round for cooking. I've discovered that fresh herbs are much tastier than store dried! I would love to win Click and Grow to prove to myself I don't have a brown thumb! It would be so rewarding to be able to use fresh herbs I've grown myself! 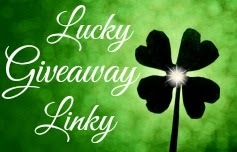 I would love to win this because raising a family like mine, with nine grandchildren can often be over whelming , The food I put out, it would be nice to be able to grow some fruits and vegetables on my own to cut cust.. I would love to win this. I am a gardener and donate excess to the food bank so others can also enjoy fresh vegetables. Goodness this would be wonderful and helpful! I would love to win Click and Grow so I could grow year round. I am amazed by these units and have had one on my wishlist forever. I would grow herbs and start seedlings for the garden. This thing is amazing. I love the big bag bed I have awful clay soil and nothing grows in it ....regular containers are cumbersome and get knocked over this seems like the perfect option! Click and Grow would be fantastic. I would use it to start seedlings for the garden and for herbs too. I just think this thing is fantastic! I want to win click and grow because I love plants. This looks like an easy way to grow them inside. I think this would be great for my three boys to do as a homeschool project! Click and Grow would be terrific for seed starting or year round. I like how easy this looks to use and to maintain. I would get addicted and have to buy more! I love everything about the click and grow. I love you can grow year round and I love the varieties of plants they have to choose from. I love Seeds Now. I grew awesome varieties of lettuces one year. So easy and will use again! Click and Grow looks like it would last for years. I like how it is so versitile.. You can grow so many different things. I would love something like this. I would grow the straberries, the catnip, and the pizza mix. I've always wanted to grow an herb garden. The Click n Grow would be a great starting point! I would like to win the Click and Grow unit and use it for herbs in my kitchen. It would be quite nice to cook with fresh herbs for a change. Click and Grow would be amazing to be able to grow all year. I like all the features it has. I also like it is refilable. sorry to be anon, but on a friends computer. Click and Grow would let me grow all year. I mean houseplants are great but there is nothing better than fresh vegetable or herbs. I LOVE this unit, and would love having one. I would like a Click and Grow as I have to admit that I am not great when it comes to gardening although I love fresh herbs to use in my dishes. This unit is one that I really believe I could actually be good at. 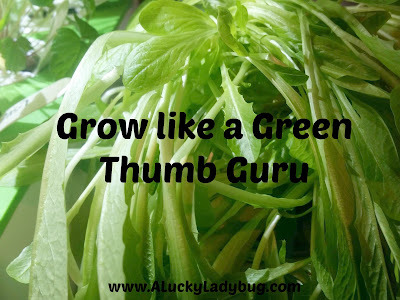 Click and Grow would be great to start seedlings and grow almost anything. I love how it is reusable and would last for years! This is so clever! I really try to garden and some years I do better than others but I"m always looking for help in succeeding! I would like to thank you for these nice tips. I am from the Chicago area, so it is somewhat cold, but not as short as Michigan, but the tips none-the-less are great here too. I want to win the Click and Grow unit to help with growing. Click and Grow would be perfect for me. I could start things to transplant, and on the off season have an herb garden. This is such a nice compact unit! I have recently gotten into gardening. I have learned so much in such a short amount of time. I appreciate learning more and more!